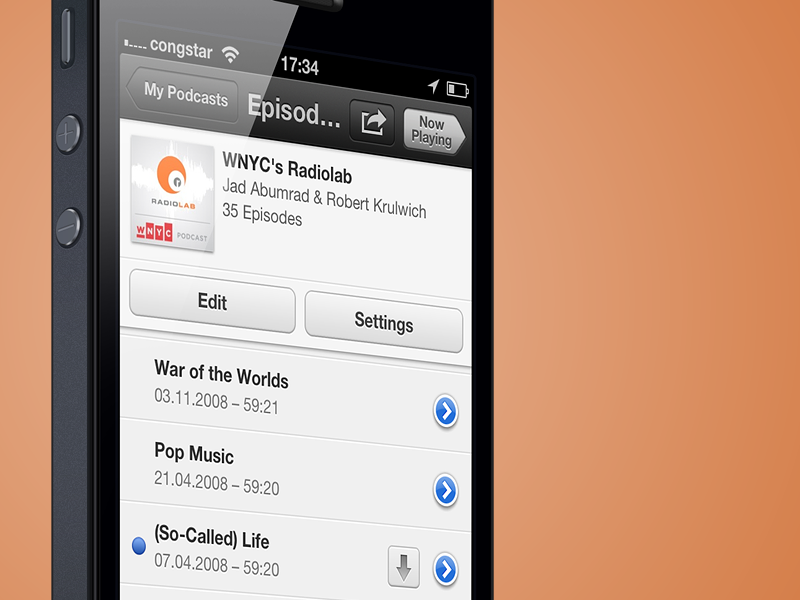 Many people ask me “Marcel, what’s the best podcast you know of?” and I finally found the answer: Radiolab. However. One beautiful day I had enough of Benjamin, Gruber and Apple and found Radiolab. It’s a podcast about science which – quite frankly – doesn’t sound as awesome as it is. Jad Abumrad and Robert Krulwich are a amazingly great duo and it’s so much fun to listen to them talk about topics like Color, Parasites, Lost & Found, Good, Bad and many more. I could go on and on about how this show improved my life over the last past weeks but let’s make this easier for you and me: Just go and listen to it. I listened to every show since 2008 and not one of them was uninteresting or bad. Marcel, what’s the best podcast you know of?